Summary: Difference Between Pulp and Dentin is that Pulp, the only soft tissue of the tooth, is a loose connective tissue enclosed by the dentin. The pulp responds to any stimuli by pain. Pulp contains the odontoblast. 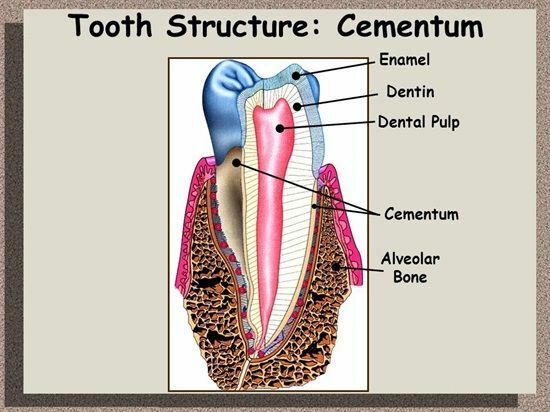 While dentin forms the bulk of the tooth. It consists of dentinal tubules, which contains the cytoplasmic process of the odontoblasts. The tubules are laid in the calcified matrix—the walls of the tubules are more calcified than the region between the tubules. The pulp, the only soft tissue of the tooth, is a loose connective tissue enclosed by the dentin. The pulp responds to any stimuli by pain. Pulp contains the odontoblast. Odontoblasts are terminally differentiated cells, and in the event of their injury and death, they are replaced from the pool of undifferentiated ectomesenchymal cells in the pulp. The pulp is continuous with the periodontal ligament through the apical foramen or through the lateral canals in the root. Pulp also contains defense cells. The average volume of the pulp is about 0.02 cm3.